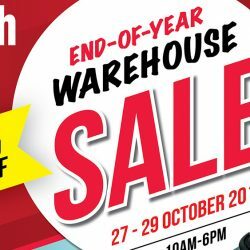 Aztech End-of-Year Warehouse Sale is coming! Storewide Deals up to 70% off up for grabs! Display sets clearance from only $11.50 and Starbuys as low as only $2! RSVP here to stay tuned for the full release! Products range from Home Appliances to Datacom (IP Cameras, HomePlugs, Mobile Wi-Fi) to Lighting to Shiro (Wine/ Abalone). Mark your calendars now, there are so much to look forward to! 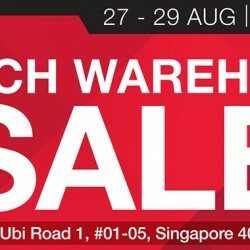 Two more days before start of the Aztech Warehouse Sale! Enjoy up to 80% off Aztech, Aztech Home, AZ e-lite and Shiro products which includes wireless devices, home appliances, LED lights and food products! Additional 5% discount for Aztech Rewards Members. Cut out coupons to enjoy additional $10/$20 off.